If you or a loved one suffers from an injury caused by a construction accident in Connecticut the experienced injury attorneys at Jazlowiecki & Jazlowiecki Law will aggressively pursue your case to get you the highest possible settlement. Construction workers are at a high risk of injuries due the dangerous environments, elevated structures such as buildings, bridges, scaffolding and many other. Construction workers work with power tools, heavy equipment, heavy machinery, and on job-sites that can put them in significant risk situations. Victims of construction accidents deserve to be compensated for their injuries by those who are responsible. If you have a loved one who has been the victim of a construction accident, contact us. 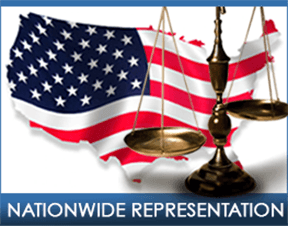 We are available for construction accident investigations and litigation throughout the United States. Do You Have A Construction Injury Case? According to the Bureau of Labor Statistics, there are more than 150,000 construction accidents each year. Construction site accidents account for 20% of all fatal workplace accidents in the U. S.
Construction workers between 25-34 years old are the most likely to be injured in construction accidents. 15% of all claims on workers’ compensation claims are victims of construction accidents. According OSHA, 1 out of every10 construction workers is injured on the job every year in the U. S.
More than 4 million workers in the U. S. suffer a workplace injury or occupational illness each year. There are more than 40,000 construction injuries on construction sites each year in the U. S.